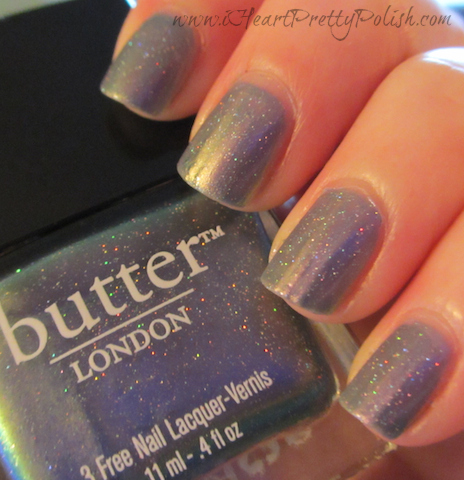 This is Butter London Knackered. Beautiful polish, hard to photograph. It's the story of my life lately, I keep wearing polishes that look great in real life, but they are so hard to capture in a photo for you. I'm sure you've all seen this before, but it's my first time trying it. I received it with that Coterie deal a few months ago where you could get 3 Butter Londons for like $12 or something crazy like that. It was hard to pass up. I had most of the colors they were offering, but I did find 3 that I didn't have. Knackered was one of them. As you can see, Knackered is a purple/grey duo-chrome that shows up slightly green in some lights. 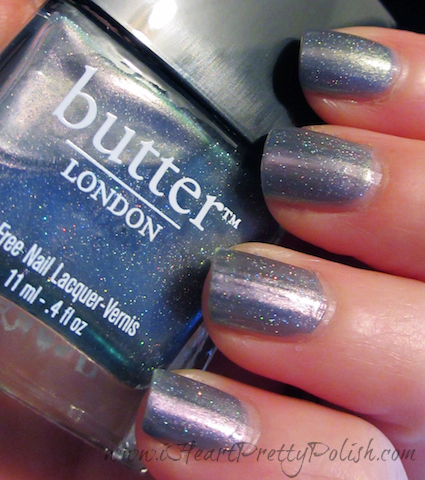 And the holographic glitter is what makes this polish awesome. They look like little Christmas lights on your nails. It's so cool how they twinkle. This polish is very sheer. I may try it with a base color next time. This is 4 coats...but it's a thin enough polish that it doesn't take forever to dry. All in all I like this polish. Not a favorite or anything, but it's unique and fun to wear. 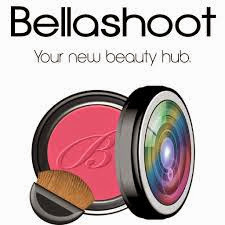 Your pictures are gorgeous. Possibly the best I've seen of this color. I have OPI Not Like the Movies, another light purple to green shift with sparkle. I should wear it again, it's been a while. Thank you. They were the best I could do. It was pretty frustrating. Yes, wear that OPI, I would love to see. Er, was it Coterie? lol, I don't know they sound too similar!